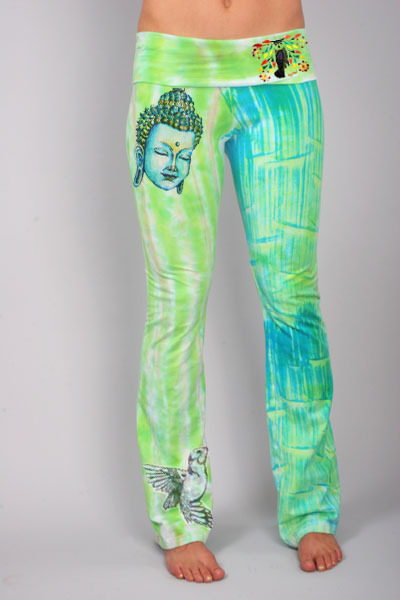 Limited run one of a kind yoga bottoms made of an organic cotton/spandex blend embellished with Buddha, owl and various art pieces. Remember, you can always create your very own from scratch in our DYO section. We make the process super simple and quick!